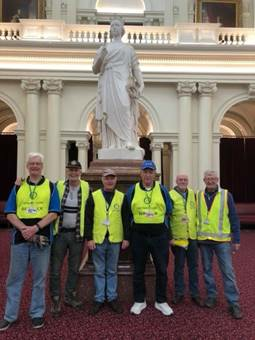 On Friday the 15th of June, a group of dedicated Rotarians delivered a full trailer load of art screens to the Queen’s Hall at Parliament House Victoria, for the “From Robe to Riches Art Exhibition” hosted by the Chinese Community Council Australia Victoria Chapter. The Rotary Art Screens Hire project run by the Rotary Club of Berwick has evolved over time and is now one of our premier fundraising sources. 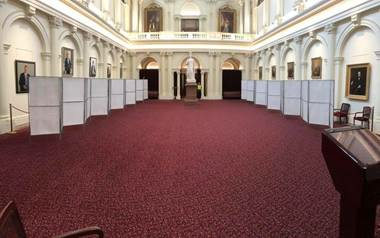 The magnificent Queen’s Hall provided the perfect backdrop for the Rotary art screens.